Good morning, lovely bloggers. 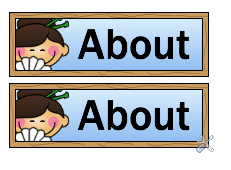 I wanted to make a second part to the button tutorial (see the original post on Customizing your button bar) in order to provide some more information. 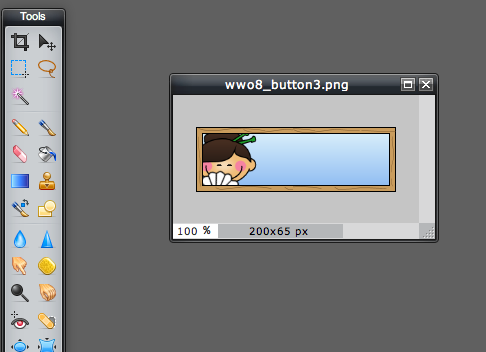 So, I started out creating a button from scratch. I have wonderful graphics software that I use for everything (Fireworks). But it’s pretty costly so I did some searching around for something similar, but free. And I found it. The site is called Pixlr. It is a snap to upload a photo and edit it. Actually, it has many of the same features as my beloved Fireworks software. You are going to love it! Here is a step-by-step on using this wicked cool site and uploading buttons to Blogger. 1. I uploaded an image from my computer. If you are a member of Thistlegirl Designs or have some of the other amazing graphics out there, this will be a snap. Just choose a button image and upload. 2. There are many tools available to edit the image. I didn’t want to change this particular image. However, this would be ideal for those that need to resize their buttons…I had to play around with that a lot initially in order to get my buttons to fit nicely on my site. 3. I clicked the text tool, so I could add a label to my button. 4. Once I clicked the text tool, a little box popped up with a whole bunch of options. There are a ton of choices for font, as well as color and size. Once I finished my text, I clicked the OK button. 5. 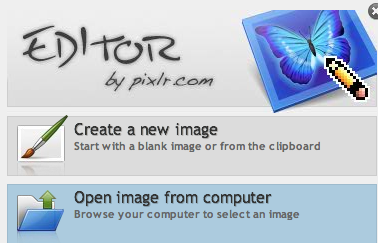 Pixlr has its own menu at the top of the screen. I clicked Save and named my button. 6. 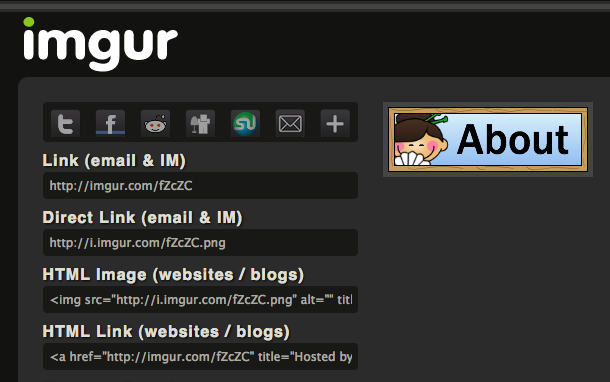 Now that my image was created, I could upload it to a file sharing site…imgur. 7. I always leave this screen open in a separate tab, to use later. 8. I headed back to Blogger and went into the Design screen. I selected Add a Gadget. 10. I entered the code you can see to the right. The green is the url of my page within my blog. The blue link is from imgur…so I headed back to the imgur tab to get the link. 11. I highlighted and copied the code under Direct Link (on imgur). Pixlr would also be great to design a header for your blog. You can find more about uploading a header here. Thanks for the additional post. I made a button and added it per the instructions. The image does not link to my student page. I retraced my steps several times but do not see where I went wrong. Mrs. Saoud…I'm not sure why it's not working, I feel so bad! I hope you can figure it out. I'll let you know if I find anything. Mrs. Saoud, I think I figured it out…sent you a message. Can you do a post about sorting your blog posts by topic? I have it listed by date, but would like it by topic also.